Haven't we moved beyond the "got milk?" campaign for our clever pop-cultural references at this point? It was a monumental campaign. Truly. It has forever left its mark on our culture and will be inducted in the advertising hall of fame in its first year of eligibility. But surely there must be a handful of newer references to be made, no? 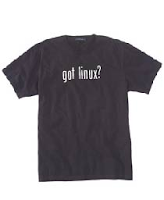 Certainly we can do better than slapping one half of a tagline onto a T-shirt and filling in the blank with "x" product, can't we? Maybe we can't. b) it has never gone away. - Since it's inception the "got milk?" campaign has had many admirers and appropriators. For a while, the mockery was somewhat clever, pointed to a phenomenon and made sense. But at this point, the use of "got ___?" puts an image in my mind of a group of dental secretaries gathered around the lunch table in Des Moines (no slight on the city, that's just where this imagination takes place) laughing over getting some T-shirts made up for the Christmas party which read "got plaque?" or "got brush?" or "got floss?" I only ask that we harness our collective creative juices and agree to stop the derivative, redundant, old-news punnery. Read a book a while back called “Generation Me”. It’s written by Jean Twenge (PhD) and deals with the differences between Baby Boomers and the generation after that. Interestingly, Baby Boomers are referred to as the “Me Generation” in part because they were the first generation to attempt to find the journey to the self (somewhere Dr. Phil and Wayne Dyer are smiling and nodding). Not just as a drug-enduced search, but on a deeper level, the Baby Boom generation left societal norms behind and attempted to discover what was “true for themselves” – what they were passionate about, what was more than a “job”, but a “calling”. In their current, version 2.Oprah, Baby Boomers are on the verge of empty-nesterhood retirement and are reclaiming and rediscovering themselves and the interests that they gave up earlier in life or put on hold because of the families they raised. Now, time and money are enabling hobbies, passions, and edutainment excursions. However, Dr. Twenge points out, despite the search for the self, the Baby Boom generation has always done everything in groups. Sit-ins and protests, consciousness raising, support groups, discos, even current “self-seeking” is based around joining classes, going out with girlfriends, joining a league, etc. As much as they can be, they are the “Cooperative Me Generation”. Earlier I didn’t say “Gen X” or “Millennials” (nor Echo Boomers, Gen Y, or iGen). The author insists that Gen X is lumped in with our younger counterparts (which irks any Gen Xer – just ask us) and that Gen X, as a very label, is a misnomer because the same slacker mentality that got us the coolest of the generation names is not applicable to todays execs, entrepreneurs, and Internet millionaires who fall within that age range. And so, the post-Baby Boomer generations (basically from 1967-1990) are all lumped together in Dr. Twenge’s definition and form “Generation Me” (or “GenMe” for short, buzzworthiness) - the flip version of the “Me Generation”. The good doctor/author provides decades worth of comparative data of high school and college students between the 1950’s through the 1990’s showing the increase in such measures as “extrovertedness”, “desire to be famous”, “belief that my opinion matters”, “self-satisfaction”, “independence” and “self-promotion” among others. There is a clear rise in narcissistic behaviors and attitudes. We are more likely to argue that if we “do our best” that’s good enough. That (for example) a paper we wrote in college couldn’t possibly be challenged because what really matters is that we believe in its validity, not its execution or implicative merit. In plain English, GenMe is being labeled as the most self-serving of all time, and that we have no comprehension of reality. That despite our desire to be whatever we want because we believe we can, as Roper Youth Report states, “the gap between what they have and what they want has never been greater.” There are simple realities and truths we choose to ignore under the shingle of “positive self-esteem”: fat girls aren’t ballerinas and short kids aren’t in the NBA. In fact, the very digital technologies that are so native to us (blogs, LiveJournals, etc.) play into this generation’s need to be recognized. Why have a MySpace page or a blog other than to collect “friends” or to have your opinion commented on. Rather than take the time to become an expert on a subject, we live in a YouTube-instant-authority world which enables anyone with a keyboard and a video, pardon me, digital camera to voice an opinion, and, if they’re lucky, become a celebrity du jour and experience the “Lonely Girl 15 Minutes of Fame” to which this generation is so latently entitled. What do you think? Are we self-centered or independently-minded? Entitled or optimistic? 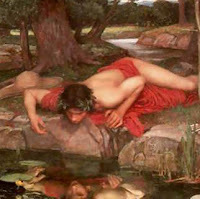 Young leaders or Narcissists? And that brings us to the center of it all. Bjork. The rhythm literally was coming out of her. Her barefeet skipped and danced of their own accord, her hands kept time and shook and moved as well, she didn't look out at the audience, but was clearly connected to them just the same. What I saw was a woman so completely living out loud and plugged into her world that, despte the fact that I found the song itself at best a future punchline, I was transfixed, unable to turn away, and unable to deny the powerful joy I was witnessing that can only come from doing what you truly love. Fast forward to my daughter, Sadie, this weekend (or any weekend really). I love my kid. She's four years old and lives her life in that same way. The picture here is her in just her underwear with her hair styled in upturned braided pigtails to look like the swirly curls of her idol, Uniqua. In the picture, Sadie is at University Village, dancing and enjoying herself while onlookers smile and turn to each other and say, "omigod, she's so cute". More than cute, which she clearly is, I pray that my daughter always retains that sense of freedom and joy and truthfulness about who she is, so that life's passion can move through her like it does Bjork, Jim Henson, Sark, Bruce Mau, or any other person who is clearly living their right livelihood. Do you know folks like that? I encourage you to start a list below.